This fall, Courtney will begin her project “Bridging the DC Probate Gap” at AARP’s Legal Counsel for the Elderly (LCE). Her project is dedicated to fulfilling a largely unmet legal need by building a network of knowledge and services around probate and estate planning in Washington, DC. As a large segment of our country’s population rapidly faces retirement, there is an increasing need to ensure that elders and their families feel prepared in terms of their future healthcare and assets. Unfortunately, elders of color are less likely to have conducted any estate planning—leaving room for potential family conflict, loss of wealth and property, or financial instability. Furthermore, probate can be a confusing, emotional, expensive, and lengthy process. The difficulty of going through the probate process is compounded when one cannot afford to hire an attorney who is willing to help. Recognizing this gap, Courtney’s project will provide the advocacy and awareness that all elders and their families deserve—no matter their income or background—during their time of need. Through this project, she will primarily represent families in a range of probate matters referred to LCE, with a focus on cases involving the transfer of title and deeds of homes. 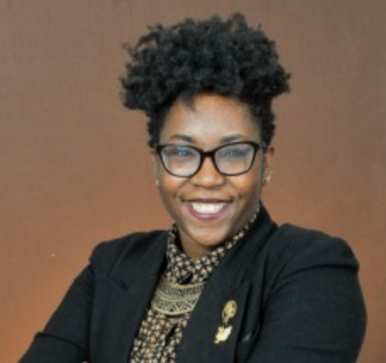 Some of Courtney’s work will also be dedicated to guiding elders of color and their families with estate planning. Additionally, she will identify and collaborate with community, legal, and faith-based groups to facilitate informational sessions and clinics around estate planning and probate around the DC area. Courtney is a dual-degree J.D. and Masters of Public Policy student at the American University Washington College of Law and School of Public Affairs. She has a passion for elder law, with a particular focus on end-of-life care, estate planning, and housing in economically disadvantaged communities of color. While in law school, she served as Chair of the National Lawyers Guild, a Student Attorney in the Women and the Law Clinic, and taught at a DC high school through the Marshall-Brennan Constitutional Literacy Project. She was also a volunteer at the DC Bar’s Probate Resource Center. Courtney is excited to return to LCE, where she was a Summer 2016 intern with the Homebound Elderly Project. Prior to law school, Courtney served as an AmeriCorps VISTA in Austin, TX and two years as an AmeriCorps Member with City Year in San Antonio, TX. She is a 2012 graduate of Furman University and a Mauldin, SC native.